Como eu disse no ultimo post, fiquei e agora é esperar certo? Em quanto isso vou fazendo post de outras coisas pelas quais passei e podem assim ajudar outras girls ou boys. Como você é como pessoa? O que gosta de fazer no seu free time? Como é seu relacionamento com sua família? Qual é a sua formação, ou se ainda não é formada o que pretende fazer. Frise bem em toda carta suas habilidades. Coloque esportes, dança, arte, qualquer coisa diferente que você já pratico. Fale bastante da sua experiencia com crianças. Enfatize o porque a família deve te escolher. E por ultimo coloque o que você espera do intercambio, e desse ano com a sua future host family. Bom, com certeza tem mais coisa, mais ai vai de pessoa pra pessoa, vai ser o seu jeitinho que você vai escrever, é o seu toque especial na carta esse algo a mais certo? Acho que é isso meninas, agora só pra dar um Help eu vou pr minha carta aqui pra vocês terem uma noção como ficou, aah e uma dica, nunca deixe sua carta passar de 2 paginas do word pq fica muuuito grande e as host families normalmente não vão ver tudo. My name is Ana Carolina, I’m 18 years old and on July I turn 19. I live in São Bernardo do Campo in São Paulo, Brazil. I love living here because is , a big and beautiful city and I have access to a lot of entertainment, I have been living here all my life and I have amazing memories. I live with my mother Elisaura she is 42 years, my father Josinaldo He is 43 years, my youngest sister Aline, she is 12 years, and my dog; named Lila. I really love my family and they always help me in everything. But my parents were always much strict about education and good manners, and I thank them for that because I grew, and became a responsible person. We usually travel every year to my grandparent’s house in Fortaleza, Ceará and always is very fun, I love traveling with my family. I would describe myself as an open-mind, patient, independent and flexible person, I can be young, but I've learned that in life we need be like this. I’m kind, helpful, funny, friendly, easy going, very creative and dedicated. Probability, every girl say the same thing but I want show you that this is true, show more about me in this letter and in my video. I graduated in technical course of administration, in june 2013, but my dream is study publicity and marketing at University, and I’ll do when I return to Brazil, I worked in an office’s company of civil engineering, but I needed leave my job because I worked all day and I needed to get my driver's license,and also work more with children to get more hours for become an au pair. But I miss working, I’m a very hard-work person, I began to work with 15 years, and it gave me a lot of responsibility. Now, I study english every day, every afternoon I take care of Lucca, He is 1 month and half and is a wonderful little boy, and night I make a dinner for my family, because my mother work from 2 pm to 10 pm. But I adore cooking, I always make, lunch, dinner, breakfast, snack, desserts and many others things, alone or with my mother, she is always teaching me new recipes. Sometimes I make a dinner when my uncles comes in my house, and they say: you can get married now. Hahaha. So, I love cooking. In my free time I love reading many books, I'm crazy about books, mainly romance and sci-fi, but I like every kind. I also enjoy, going out with my family, my friends and my boyfriend, we usually go to places like a cinema to watch a good movie, theater, parks, restaurants and many others. And I always want driving go to the place, since I got my driver's license I want to go to driving everywhere hahaha. I love also of participate of theater or dance in my church, I'm a funny person, I always see the positive side of life, I always do things that make me happy for example, I did ballet for more than 10 years of my life, and I only stopped because I needed to take care of my sister, because my mother began work and my sister couldn't stay alone. I also used to play on the basketball team at my school, and now I’m doing swimming classes. About my experience with childrens, I have about 2800 hours of work with children. I worked in a Children’s Buffet for about 2 years, that was my frist job, when I was 15, I took care of childrens of every ages, since 1 year to 12 years, I played many games,did the snack time, I painted in their faces or hands, and I did what the children wanted to do for fun. On vacation my cousin Nathalia, comes to my house . She comes here since 5 years old and now she is 9 years old, I prepare all her meals, and everything she needs. We play games, cook, and I take her and my youngest sister to the park. When it is hot we can go to the pool, and is always very funny. And now, I taking care of a baby I talked a bit about him at the beginning of the letter, I learned a lot with him, and I fall in love more for him every day, I always liked babies, and I have worked before with children of 1 year, but never newborn, and now, living every day with him I can feel much more affection for them. 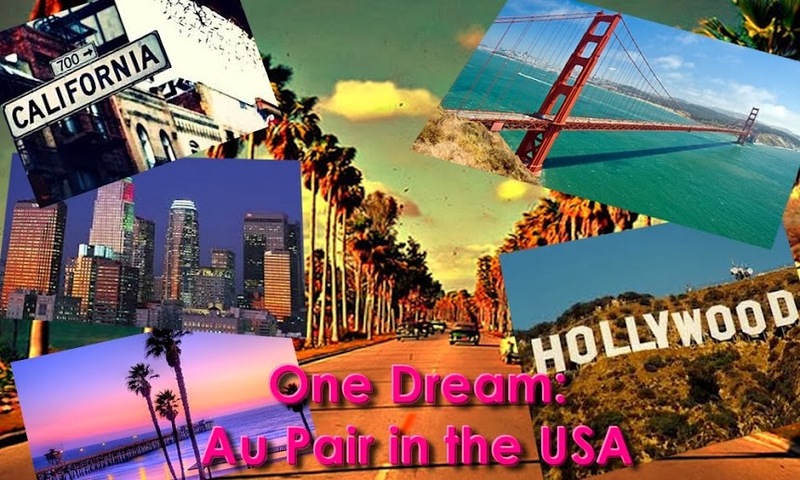 So, for all my experiences I’m pretty sure that my choice is right, I want, to become an au pair. I need to improve my english, and I always dreamed about an exchange to meet the real american life, I want to see new things, new places, new people and to understand how they live and what they think, and I can't imagine another better option than be an au pair because I really like children, they are so exciting and happy, and how I said before, I do what make me happy and childrens make me happy. I am really excited about this exchange program and I will do my best to make this exchange program awesome for me and for my host-family as well. I wanted to ask you not to judge me by my age, I'm very responsible and I'm the best au pair for your family, if you choose me you will see that this is true. I have a lot of other things to say but my letter is already big. So, thank you for read my letter and if you have more question I’ll be happy to answer. I hope you enjoyed me and we can talk, I’m anxious waiting for your contact. Como anda o fluxo das familias? Voce quer ir quando? Olá! Adorei sua carta, me ajudou muitooo a finalizar a minha... eu estava travada a dias hahaha muito legal o blog... Parabens! ótima a sua carta!! Me ajudou muito beijão!